Don't know if this had come up before. 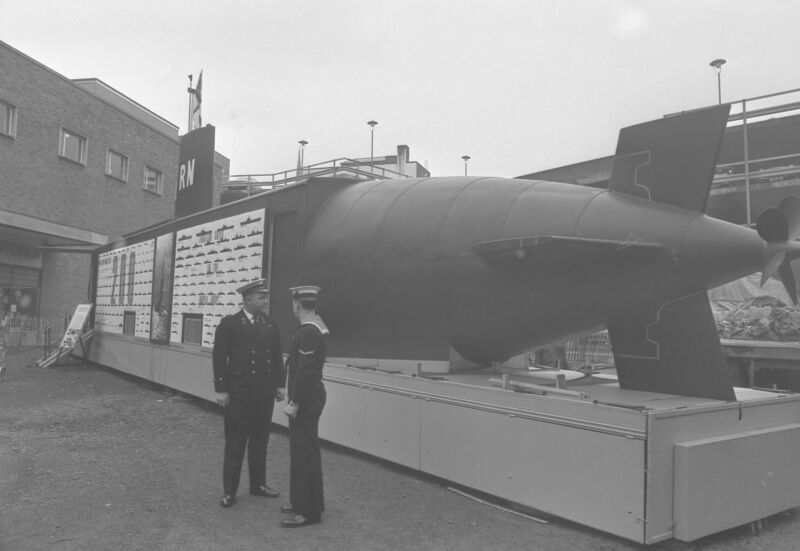 Does anyone remember a mock model up of a Submarine that was behind the Barracks car park on a bit of empty ground that you could go inside for a look? It would have been very late 60s or more likely early in the 70s. I will never forget going into a mock submarine but just cannot recall whereabouts it was. Wife and I were shown around by a mock sub' captain. Wife was asking many questions. "What is that for?" "It's a depth gauge". Wife, "Lovely. And what is this?" "Shows the speed of the sub'" "Wonderful. And what is this?" "It's a clock." On 18th Jul 2017 8:20am, Bags said: Don't know if this had come up before. Does anyone remember a mock model up of a Submarine that was behind the Barracks car park on a bit of empty ground that you could go inside for a look? It would have been very late 60s or more likely early in the 70s. That's it. Thanks very much. It may have had some sort of profound effect on my brother as his latest book on submarine warfare has just come out. 'The Deadly Trade' the follow up to 'Hunter Killers'. He is also the editor of 'Warships International Fleet Review' magazine and many other well received books on Naval matters and like me is an Old Coventrian. I also remember as part of the military recruitment campaigns in the '70s there used to be exhibition stands set up on the Memorial Park during the Carnival. There was a Lightning cockpit you could sit in as part of the "Fly Navy" display. I later went on to do quite a bit of work for the Fleet Air Arm Museum at Yeovilton!